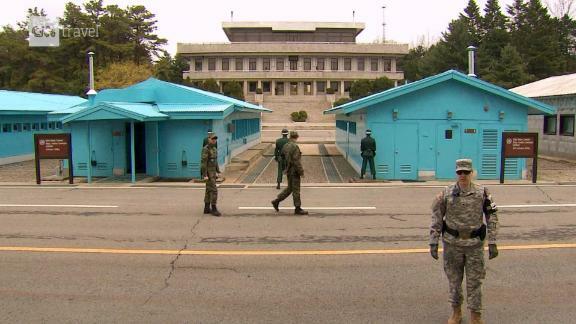 The Korean DMZ, one of the world's most heavily militarized borders, welcomes more than 1.2 million travelers each year. Here's how to make the most of your visit. With North Korean leader Kim Jong Un meeting with US President Donald Trump in Hanoi this week for a second summit, hopes for peace on the Korean Peninsula have once again been raised. It's the latest in a series of high level meetings aimed at bringing stability to the region. Last April, South Korea's President Moon Jae-in met the North Korean leader on the Korean Demilitarized Zone (DMZ), a remarkable day-long summit that weighed heavy with symbolism. The DMZ is a no-man's land about 30 miles north of Seoul that was established in the 1953 Korean War Armistice Agreement.